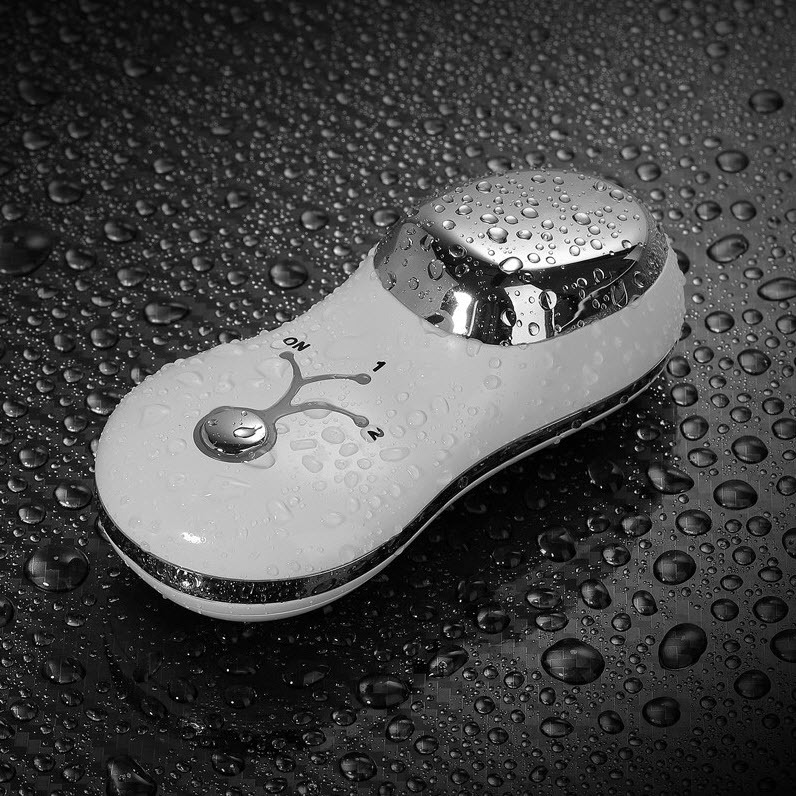 Mini galvanic facial anti aging Spa tool, that apply slight vibration and galvanic technology. The vibration massage on the skin increase blood circulation and smooth fine lines. The ion help nutrients penetrate deep into layer of skin directly, restore skin elasticity, lift skin, make skin tighten and firm. The high level of positive and negative ions alternatively stimulate skin,which help balance PH and make the skin prepared for next step. The negative ions stimulate skin, help enhance the absorption of nutrient into deep skin layer, lift and firm face, remove wrinkles. Galvanic Ion / Micro-Current / Micro vibration. 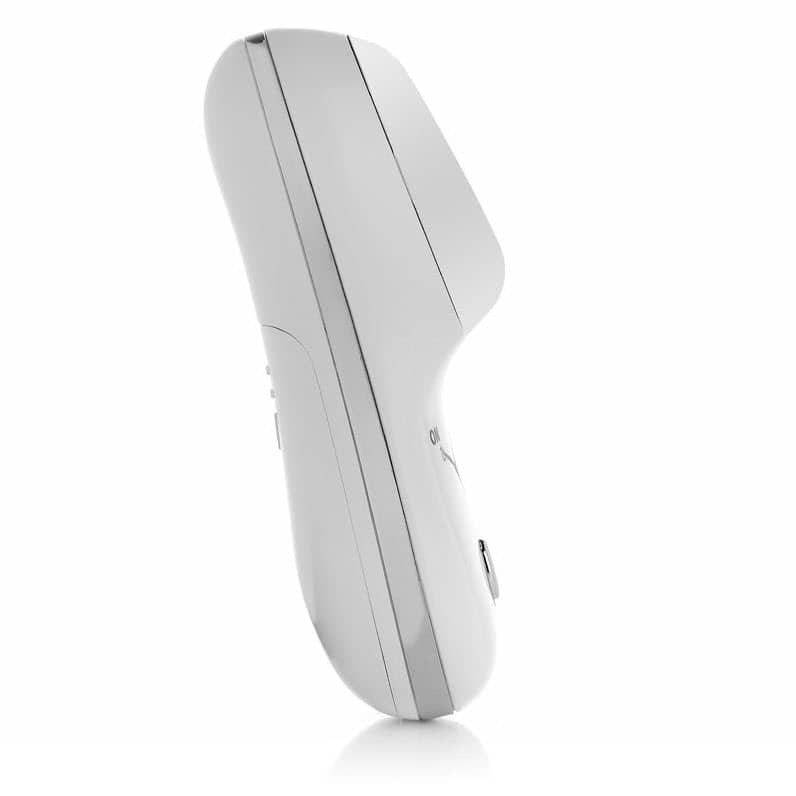 6000 times/min vibration help massage skin and relive muscle. Mode 1: Balance, positive ion and negative ion stimulate skin alternately, restore skin elasticity. Mode 2: Nutrient, help essence penetrate to deep skin, remove wrinkle and fine lines. Comparatively big treatment head for both facial and body care. Auto stop function: 4 mins for each mode. Powered by 2 pcs AAA battery.